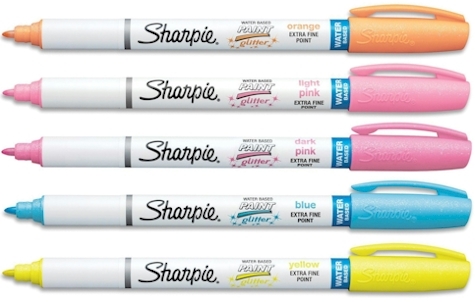 Shnoop has got this Sharpie Water-Based Glitter Paint Craft Extra-Fine Point Markers priced at $12.99 but enter promo code SHARPIE2 and that price drops to $10.99 with free shipping (73 cents each). These paint markers retail for around $3.00-$5.00 each at craft stores, and go for about $2.00 each elsewhere online. This deal is good through 1/17/18 or until they sell out.